NB: This version of the report was revised on 25/10/18 to correct some errors in the presentation of Option 5. 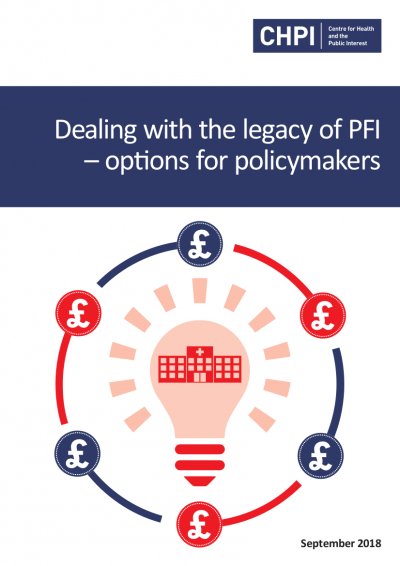 This report analyses five options available to policy makers to address the problems caused by existing PFI schemes. For each option, it quantifies its impact and assesses its advantages, disadvantages, and feasibility. The report reveals 15% of all NHS trusts using PFI could terminate a contract due to poor performance. In addition, excess interest and inflation payments on PFI debts costed trusts £1.3bn over the three years from 2014/15 to 2016/17. In 2016/17 alone these excess PFI interest and inflation costs would have reduced the trusts’ overall deficit by 30% if they had been paid centrally instead. These are just two key findings from a study by leading experts on how to deal with the toxic legacy of PFI in the NHS. The Private Finance Initiative (PFI) has been used to build 127 NHS hospitals and facilities but has locked the NHS into 25-30 year contracts paying back debt at very high interest rates while generating high profits for the companies involved. Because individual NHS trusts bear this debt burden, many have been pushed into financial deficits – with money meant for patient care instead going to PFI lenders and investors. Over £831 million has already extracted from the NHS in the form of PFI profits with a further £1 billion expected to leak out by 2021. Dealing with this toxic legacy of high cost debt is a big challenge. Finance was provided by the City for these deals on the basis that the NHS would continue to pay back the money borrowed no matter what. 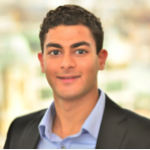 The contracts require the taxpayer to pay huge compensation if they are terminated or bought out and investors know they are well protected by the contracts that they signed. As a result, government must use all the tools at its disposal to reduce the financial burden of PFI and release much needed money for NHS care.